Tucked away in the quiet lanes of charming Birgu, Locanda La Gelsomina is a haven of serenity - a private hideaway in which to regenerate in tranquility after a full day of explorations. The decades spent living and travelling across the Far East have taught us that on our travels, regenerating the spirit is as important as regenerating the body and mind. In this spirit, within our peaceful space we offer our guests the unique opportunity to experience the healing energy of Japanese Singing Rings. In collaboration with Ayumi Kawashima, an experienced Japanese Singing Rings practitioner, you may discover the deep, sacred sounds of these ancient healing instruments which, when struck, emit a gentle yet powerful sound that lasts well over several minutes. An experience that takes place in the privacy of your suite, Ayumi will both uplift, retune and reconnect you to your very roots through this unique sensory experience. 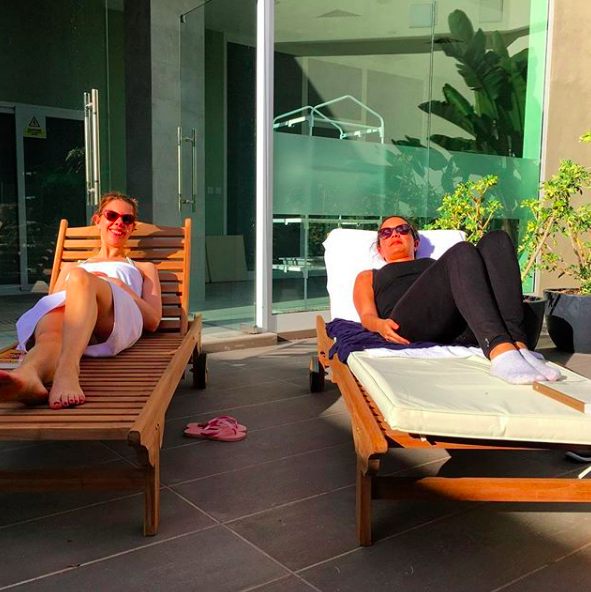 For further details or to book a session during your stay, please drop us an email at info@locandalagelsomina.com. For the year 2017, we are proud to receive the Booking.com Guest Review Award as we strive to achieve the most curated experience for our guests. Thanking all of our guests for their positive reviews! We love seeing Malta-based creatives join forces, and even more so when it's for a common cause. The wonderful people at Creatives Malta have set in motion a collaborative exhibition, bringing together 50 Malta-based creatives to create unique posters that design-lovers can view and bid on at San Anton Palace. All proceeds raised will be devolved to The Malta Community Chest Fund, Children and Need Foundation, and Do Project. 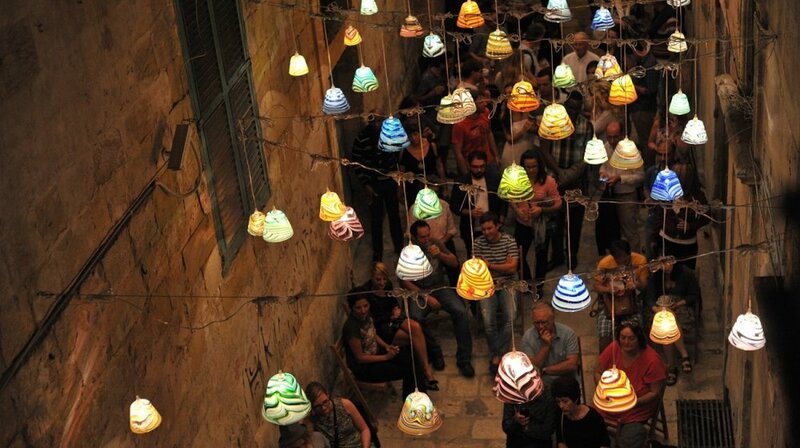 For a taste of true Maltese creativity, check out www.creativesmalta.com or visit the Palace between 12 and 18 February 2018 (9am to 4pm each day). Malta's history is a rich and varied one, having left traces of its sometimes difficult past in the buildings and sites that dot this fascinating island's landscape. Birgu is a true treasure-trove of historical points of interest, which bear testament to several of Malta's most important battles and sieges. The Malta At War Museum, located just a stone's throw away from Locanda La Gelsomina, stands to document the great ordeal which the brave people of Malta and their defenders endured during the dark days of the Malta Blitz in World War II. The museum is housed in an 18th century army barracks, which served as a police station and air raid precautions centre during the war. It sits atop of a massive underground rock-cut air raid shelter which offered refuge to hundreds of people. The shelter has been restored and forms an enthralling part of of the museum experience. With a rich collection of period artefacts and memorabilia on display, the Malta At War museum offers a unique glimpse into the Second World War, as seen through Malta's eyes. For the month of February, we've launched a restorative yoga and wellness mini-retreat in collaboration with boutique eco-spa Sanya in Naxxar. Escape the winter blues and experience a weekend of relaxed Mediterranean vibes mixed in with pampering bliss as you indulge in a full day of massage treatments and yoga experiences along with some down time at Sanya's indoor pool and sauna facilities. Once refreshed and restored, take time out to explore the natural and historical beauties of Malta, along with the cultural highlights of the capital city Valletta, which has been crowned European Culture Capital for 2018. Return to your private hideaway at Locanda La Gelsomina and experience our personalised hospitality ethos. Our wellness package is available throughout the month of February, and may be booked direct through our Packages + Deals online page. Baroque music-lovers rejoice. The Valletta International Baroque Festival 2018 is just around the corner, and with this year's title of European Culture Capita, Valletta promises to hold a baroque festival like no other. In its 6th edition, the Baroque Festival shall be venturing out of Valletta to two other walled cities: Mdina, the old Siculo-Norman capital where one can still see the columns of Roman temples in its foundations, and our very own neighbourhood of Birgu, which was the island's capital during the time of the Knights between 1530 and 1571. The Festival shall kick off on 13 January with a performance of Vivaldi's Four Seasons by Concerto Köln at the Teatru Manoel, and will run through until January 28. Highlights include a performance by Iranian harpsichord player Mahan Esfahani and period instruments ensemble Ghislieri Choir & Consort. To view the full programme, head over to the official Festival website here. Last month, as the temperatures cooled and the hectic rhythm of the summer months slowed down, we welcomed guests to experience a unique wellness experience hosted in collaboration with yoga practitioner Szilvia Gardian and eco-luxe spa Sanya between 27 and 30 October. The 4-day experience offered a glimpse into the hidden gems of Malta's historical and natural sights, whilst nurtured and pampered each guest's body, mind and soul with daily sessions of yoga, sound and gong bath sessions. The programme included a day at the luxe eco-boutique spa Sanya, where weary limbs were pampered with a lush massage and facial. Participants were also treated to a magical seaside yoga and sound bath session at the picturesque Ghajn Tuffieha beach. "Szilvia radiantly led the class and knew how to transform the experience into a fun and enjoyable one. The retreat exceeded my expectations." To find out more about our unique and personalised wellness experiences that shall be taking place in 2018, keep an eye out for updates that will be posted in our Yoga + Wellness page. As the temperatures cool and the beach towels are folded away, there's nothing better than warming up with a cozy cup of freshly brewed chai tea in our quiet spaces. Food lover and writer Maria Shebets has whipped up a fragrant chai recipe that is packed with aromatic spices such as ginger and cloves, making it the perfect accompaniment to home-baked biscuits by the fireplace. Each year, a city within the European Union is selected as European Capital Culture which aims to highlight the richness and diversity of cultures across Europe. Next year in 2018, Valletta will play host to this title, and throughout the year, a multitude of cultural events shall be taking place across the city in celebration of this unique event. Locanda La Gelsomina is proud to have partnered with this initiative as hotel partner to the Valletta 2018 Foundation, and look forward to hosting guests at La Gelsomina to promote this inspiring initiative in Malta throughout 2018 and beyond. The internationally renowned fashion publication VOGUE shines a spotlight on the beauty of our little Mediterranean isle and its "alluring laid-back feel". Whether you’re plunging into Sliema’s Ballutta Bay for an afternoon dip in the middle of the city, exploring the old, narrow streets of Valletta and Mdina, or jumping off cliffs with the locals into the country's many natural pools, you’ll leave Malta wanting more. A mere 0.06 km2 large, the isle of Filfla - located 5km south of Malta - may be tiny, but it is packed with a wealth of history and unique natural beauty. Its name is believed to derive from the Arabic word felfel (meaning peppercorn), and was possibly sacred to the neolithic inhabitants of Malta, who built the temples of Ħaġar Qim and Mnajdra on the Maltese coast opposite the islet. The only known permanent structure on the island was a chapel built inside a cave in 1343, which was destroyed by an earthquake in 1856 that also sank part of the island. A map of Malta dating back to 1798 shows a fort, a lighthouse and a monastery with a chapel on Filfla. Until 1971 the Royal Navy and Royal Air Force used the island for target practice, and spent cartridges from these bombardments can still be found on Filfla today. Access to Filfla is only possible for educational or scientific purposes, however this month, on the 4th and 26th, Heritage Malta will be organizing a round Filfla boat cruise, departing from Sliema Ferry at 14.00hrs. Experienced Heritage Malta officials will be with you to point out special features found along the coast, such as fortifications and heritage sites. There will also be time for a swim at one of the sheltered coves. For further details and to purchase tickets, visit http://shop.heritagemalta.org/index.asp?eventid=405. Tickets are also available at all Heritage Malta museums and sites. Locanda La Gelsomina is proud to receive the Certificate of Excellence Award from Trip Advisor for 2017. This is testimony to our continuous strive to achieve guest satisfaction and we would like to thank our guests for their feedback as it is our utmost priority in raising the benchmark and providing authentic hospitality in Malta. The Solstice occurs on the 21st June every year, and what better way to experience the Equinox than at the Mnajdra Temples and Hagar Qim. The infamous UNESCO heritage sites are neolithic temples used by the worshipers to communicate with the gods. The south temple is aligned with the position of the sun as it rises over the horizon on the first day of each of the four seasons of the year. It was purposely built in such a position so that the sun shines in between the stone at the Equinox and the Solstice. This used to help the people of the time to know when the seasons change and they need to harvest their crop.